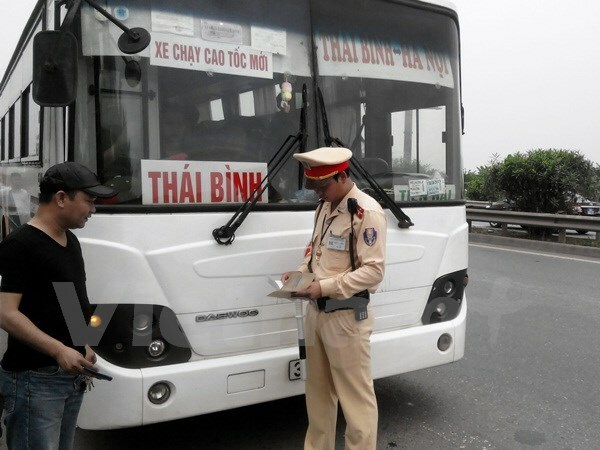 HA NOI (VNS) — The National Traffic Safety Committee has opened 10 hotlines for people to file complaints about transport issues during the six-day national holiday starting on Tuesday. Authorities will inspect operations at coach terminals and transport enterprises during the long holiday to stop buses overloading passengers and inflating prices. The holidays, from March 28-April 3, observe three holidays - the Hung Kings' Festival, National Reunification Day (April 30) and Labour Day (May 1). According to Khuat Viet Hung, deputy chairman of the committee, agencies and authorities have been told to ensure traffic safety during the holiday as millions of people are expected to travel to their hometowns from the major cities. The Government has instructed all sectors to allocate enough staff to inspect and patrol. "Passengers must know they can refuse to travel in unsafe vehicles and should buy tickets at stations instead of jumping onto buses on the road," he said. Hung said the committee would co-ordinate with authorities immediately if there were complaints about overloading, drug taking or other illegal practices. Two hundred and twenty-four traffic accidents occurred nationwide during last year's big holiday period, leaving 117 people dead and 151 injured, the Viet Nam National Traffic Safety Committee said. Nguyen Anh Tuan, director of My Dinh Bus Station in Ha Noi, said the number of passengers was expected to increase by 30 to 50 per cent during the holidays. The station has allocated 400 extra buses to meet the peak travel time demand. The station has planned to add 150 buses on routes from Ha Noi-Thanh Hoa, Ha Noi-Nam Dinh and Ha Noi-Thai Binh. The number of traffic accidents often rises during holiday periods due to the increased number of people driving under the influence of alcohol.